A writer from The Atlantic tries the Paleo diet, feels great on it, loves it, yet still wonders whether it’s “an unhealthy fad.” Be forewarned: life expectancy is mentioned and Atkins parallels are drawn. Some good comments, though, by Melissa and Patrik. Was this a “special Primal issue”? The Atlantic explains how buying grass-fed beef might just save the bees. Sure, tanning might increase the risk of certain cancers, but not tanning is probably way, way worse. What we’ve known for years is starting to hit the mainstream. The NY Times asks, “Can a playground be too safe?” Hint: Yes. And it’s actually more dangerous in the long run. People from polar regions have bigger eyes and brains to help with the processing of visual data in an environment with less sunlight. This confirms what researchers have long suspected: vikings looked like anime characters. Jane Brody, the NY Times health writer who once told readers to simply “eat less, exercise more,” now admits that old advice “may be outdated.” Watch her admit that counting calories is usually ineffective and laugh smugly to yourselves (I sure did). Forget this debt limit stuff: bacon prices are on the rise! Grilled onions and tomatoes from Purely Primal. Sometimes, you just want a plate full of plant matter. What Grok Can Teach Us About Leisure Time – Doing nothing can be a beautiful, incredibly productive waste of time. Music Therapy: Striking a Primal Chord – The health benefits of music. – Reader Vince gets it. That is the last sentence in the paleo article. No one has no idea how much this bugs me. Not a damn soul. Not even myself. I haven’t had a bite of bacon in over a month. Thus the fact that prices are on the rise does not concern me. Maybe, just maybe, this means the price of grass-fed beef will go down? Which means you’re not ‘regular” anymore, which is great. What’s the upside, after all, to being “regular”? I agree – what’s “not practical” about eating decent quality, unprocessed foods? Never been a conformist anyway, so I must be on the right track again with this. sad days when living healthier lives is considered “not very pratical”. My experience is completely contradictory to the article’s assertion that only highly motivated health nuts are doing paleo. I am neither. I’m a creative guy with little willpower who can barely keep it together to long enough to finish my own creative projects let alone stick to a diet (although having gone paleo, I’ve been completing things much faster and easier, go figure). Yet here I am, in a few days I’ll have been paleo for an entire year. I’ll admit I’m not exactly chiseled yet but I’m working toward that. I’m not really concerned though because I feel so much better and have seen so many nagging health problems evaporate. 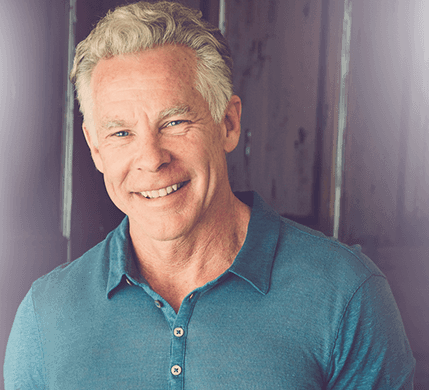 I think the diet can be for everyone, even inconstant flakes like me, but I also think that there’s a large community that’s very heavily invested (professionally and financially) in the current conventional whole grains, veggies and lean meats paradigm. On the one hand I have the impulse to help my friends and family by telling them what I’m doing, how much better I feel, and how my triglycerides are 59. On the other I understand how much counter information is out there and how most people don’t want to be told what to do, they want to discover it for themselves. It’s something I think about a lot. I was shocked–but thrilled–to see those articles in the Atlantic. Of course the tone will be skeptical, but I think the fact that’s it’s even being discussed is excellent news, for everybody. Such an interesting NYT article on the playground. I loved the playground as a kid, but now that I’m a parent, they kind of freak me out! I’ve witness too many broken arms, legs and collarbones to feel altogether comfortable with my kids on the climby things. But I never before thought about how the inherent risk and challenge is as good for kids as the muscle-building activity and fresh air. Interesting stuff. Although skeptical, I still think the article is progress in the right direction. Maybe we’ll see the next article without the skeptical part and more open mindness. However, at least they were open-minded enough to try. I was very mindful to let my child’s inner risk taker out. my parents tended to over protect and that left me with a fair amount of phobias to overcome. Sometimes I had to avert my eyes and I did have to tell her no when she wanted to go “free climbing” but she made it to 21 with no broken bones (knock on wood) and only a few minor injuries. So perhaps the playground is and old play structures were good for parents as well as the children. As a society, I think that we’ve really locked our children down to the point where they have no other options than to play video games. We tell them there are bad people out there (there are, but probably not any more than when we were kids, really), that getting hurt is a bad thing and that they shouldn’t do anything to endanger themselves (they shouldn’t, but will), and then we tell them they need to “get outside and go do something,” but won’t let them out without parental supervision. But they’re left alone when they’re ‘safe’ in front of the TV, or playing video games, or online. Safe in their homes, they’re not getting any of that exercise that we got as children (we called it play). So maybe a broken bone isn’t such a bad thing. Teaches us as parents that it’s okay to let our children take those risks necessary to develop cognitively, so they can take risks (both physical, emotional, financial, etc.) when they’re older. After all, the goal of a parent is to give a child a toolbox which they can use to navigate life and thrive in whatever environment they end up in. I hope you don’t construe this as me getting down on you – I’m not. It’s a problem that seems to be endemic of our society (the term ‘helicopter parent’ springs to mind). My wife and I have made a conscious effort to NOT do that with our kid. The result? People will oftentimes remark to us how little he cries when he falls and ‘hurts’ himself. He’s learned what real hurt is vs. temporary “ouch”. When he does really hurt himself, we’re there to console and help him – and he knows it. As a result, he doesn’t cry every time he falls or runs into something or whatever (which he seems to do a lot – I’ll chalk it up to rambunctiousness, and not an inner ear problem :). At any rate, it’s interesting to see the difference between him and other children his age who have been raised to alarm whenever they fall over. Makes me wonder where the ‘bubble wrapped children’ idea came from. Because really, who wants a child that’s THAT needy? I grew up with the kind of playgrounds that they talk about as “unsafe”. I loved all the climbing structures. My parents let me do all sorts of risky things because they knew I was a cautious child and would not do anything that felt unsafe. Had they tried to coddle me too much, I would have acted out and then really done something that was unsafe. As it was, my total injury count for my entire childhood was one broken arm, when I fell off a pullup bar. I was 11 years old; bones heal well at that age. I have no lingering ill effects from that injury. how do you manage to get the first or second comment on these posts? Mark: Just read the Music Therapy post. Thanks for linking to it. His book, This Is Your Brain On Music, is a great read. Interesting links again. Funny how things change in the world of diets and nutrition in general. I always knew that my skins natural sunblock is 100% better than smearing lab produced creams on my skin. When I lived in WA State I had to go tan artificially (tanning booth) to repair my D3 levels…which is bad, too. At the time, I didn’t know about cod liver oil and non of hte doctors EVER suggested it. Seeing that tanning article in mainstream is definitely a major step forward. However, some people take on some responsible tanning tips from that one. On a happy note, the place we get our meat hasn’t increased the price of bacon or pork chops, at least not yet. And ethanol takes food away from poor humans. Driving your car on food is sick and should be forbidden instead of encouraged. Try not to get too emotional about ethanol now. There is really nothing wrong with it if produced right. I can makes gallons of it in my back yard with a wood powerd, solar powered, or electric still using old rotting produce, and the return on energy invested is great. The whole argument that it takes away from the food of poor people is pretty misguided too. Is mass produced genetically modified corn really food? And maybe people without the means to provide for themselves shouldn’t be having 5 to 10 kids. Having a bunch of kids is a much bigger stress on the environment than driving around a car. Also, if an engine is designed around the use of ethanol, it makes a great fuel. It doesn’t go bad like gas, burns much cleaner, and is renewable. If using ethanol for fuel instead of food is immoral, than drinking any alcohol would also be immoral….which it isn’t. It’s not really about living like a caveman , hunter-gatherer, Paleolithic man, it’s about living like a human, a Homo sapiens and not living like a robot or a replaceable cog in an industial machine . Like Eckhart Tolle and other wisdom teachers say the words are just signposts or symbols don’t become attacked to them. 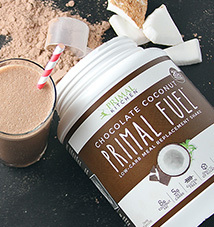 Paleo , Primal , Caveman all great words just like natural , organic and pure. but my reading of Michael Pollan makes me fear the rise of “Big Paleo” a commercialized corporate bastardization as it goes more mainstream. Yes, it is not practical to live exactly like a 100,000 year old hunter-gatherer , but the positive behaviours they lived that benefit us are practical and enjoyable. Blah, sun exposure causes nothing in the case of healthy skin. I fell asleep in the sun earlier for over 2 hours and woke up with a bit of color but nothing close to burning. Dietary carotenoids are a natural sunscreen. Not sure how I would do in the sun for 2 straight hours as I have not tried it since being primal but right on with antioxidants being a natural sunscreen. I heard a nice tan helps too! I can feel when a sunburn is starting such that if I go inside as soon as the warning happens I’ll go pink for about 4 hours and then back to normal. A year ago (and 9 months before I started doing primal) that happened after half an hour. Now it happens after about 2 hours. I’m still pretty pasty too, although that’s been changing over the last several months. Tanning and burning-two different things. This pasty whiteboy is turning into a bronzed marvel this year w/o really trying. Yet another astonishing side effect of PB. Inherently, there is now the problem of tan lines. The US should just be more European and embrace nakedness. No matter how much shirtless exposure I get, they won’t go away – instead of white and brown it’s just brown and dark brown now. There’s a link in “What Grok Can Teach Us About Leisure Time” to a National Geographic article about the Hadzu, a surviving hunter-gatherer group in Africa. If you’ve never read it, it’s great information and reality-based motivation. …and since the brain is mostly fatty protein, it’s logical why those in Polar Regions, whom live mostly on fatty protein, i.e. animals, have bigger brains. Those in southern regions that have abundant plants as food have smaller brains. Any rocket scientists come out of equator regions? The human body is mostly water. It is logical that those living in the dry Mid West have smaller bodies and brains as people from the coastal regions. Any rocket scientists coming out of the Bible Belt? Humans are one of the most adaptive animals! Well, considering that Algebra was developed in the middle east, and that gunpowder was developed in China, I think that realistically ALL rocket scientists originated from tropical regions. Not to mention all the Indian men and women in the tech industry. Grilled Onions and Tomatoes! YUM!! Gotta Love grilling season, its not around for very long here in MN! Hopefully this won’t do much to grass-fed pork! I love my bacon too much. I thought this was a relevant article, sort of. Owling – Grok squatting in an attempt to make a spectacle of yourself. That website is really good by the way. The people who manage it are all against Big Pharma and whatnot and the health section often has articles supporting the paleo diet and bashing grains, sugars, gluten etc. Um, just for the record, gardasil does not prevent cervical cancer, it is meant to prevent 4 (out of several dozen) strains of HPV that if left untreated may eventually become cervical cancer. Do you really want to inject a drug, likely made from genetically engineered who-knows-what, grown in a culture of fetal tissue (from a human or a monkey or a cow), full of as-yet undiscovered pathogens that may wreak untold havoc, which probably won’t work half as well as hoped, and nowhere near well enough to make the side effects worth it (gardasil killed several unsuspecting girls and women) …. …. or do you want to take some common sense precautions against burning in the hot sun? Arghhhhh … the Atlantic article is full of what I call “anti-knowledge”, received ideas based on a false understanding. Like who? Pasta was virtually non-existent in Britain before the 1970s; you had to go to specialist delicatessens to buy it. Even the Italians do not eat the sheer amount of pasta everyday that some in the West now do, where dinner is a huge bowl of pasta with a tomato or veg sauce. Again, bread before the 1950s was very different to bread today. You go back 300 years, and bread was a heavy, thick product with next to no sugar in it — you could barely eat more than two slices of the stuff. People simply do not realise what recent historical diets were like: cheap cuts made into stew or soup, lots of offal (tripe and onions, a bit of kidney), cooked breakfasts, eggs. The only grain products working class people in Britain ate prior to 1950 were bread, pastry, porridge and semolina: they did not really eat beans, rice, or any of the other grain products such as bulgar, pasta etc because you just couldn’t buy them. This is stupid. It really is. Even 800 years ago, the econsystems of Western countries were teaming with life. I live in a place that is documented as a medieval hunting and fishing ground in the 1200s, where if you shot an arrow with a blindfold on, you would hit a deer. With populations less than a tenth of what they are now, there really is no reason to think there would be any scarcity at all. The Atlantic author just hasn’t thought properly at all. ALSO, yeah they may be living into their 90s, but how many of those elderly are trapped in a wheelchair and on oxygen tanks, hmm? Oh but CW says thats normal for old people, right, so its ok.
FFS, why is there so much critcism on here nowadays? I do take precautions in the sun, and will never be a person who lies down in the sun for hours, and it’s obviously not what I was saying I was going to do once I got the vaccine. However, if a vaccine becomes available that may prevent me getting skin cancer, then I will look into that when it does and decide whether I would like to get it or not. I didn’t put my comment up to persuade people to do it. I simply mentioned it because it’s big in the news in Aus atm, and thought I would see if anyone else had heard about it in other countries. Newbie here, so my intent is to learn, not poke holes or complain. Anyway, I read the line “Atkins parallels are drawn” under the “forewarned” comment, so I gather PB folks don´t like the comparison. Not sure I understand the difference…yes, Atkins seems to not differentiate a lean cut of beef from a glass of bacon fat, and they have lots of “products” and sweeteners, etc…but ultimately, are they not just hi-protein low carb diets? (speaking of nutrition only, not exercise, lifestyle, etc) Thoughts? I would say that most people in the ‘primalsphere’ are not anti-carb – in fact quite the opposite. They are, however, anti grain, sugars and legume. From a macronutrient perspective, this ends up looking similar. But with Adkins, you start off with almost no carbs for a couple weeks, then you dial it back until you find a balance you can live with. This means you find where you ‘feel the best’, then dial up the carbs (source undifferentiated) until you find a good maintenance point. Primal/paleo says “don’t eat stuff that’s not good for you”. Now, you probably won’t be perfect, but you’re not consuming anti-nutrients on a daily basis. Carbohydrates come from plant sources such as fruits, squashes, leafy and cruciferous vegetables. 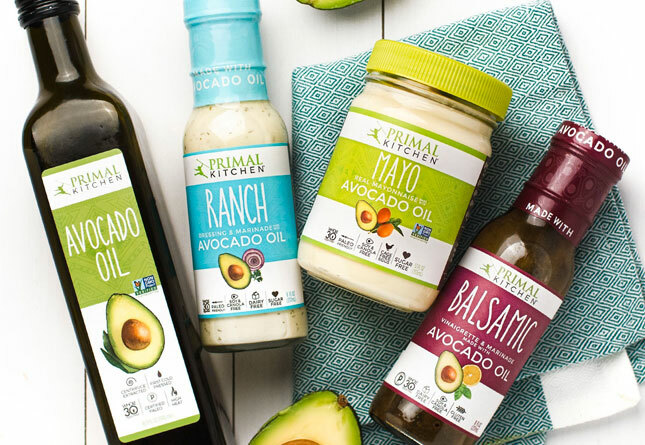 Additionally, primal/paleo looks at the nutrition profiles of different fats and eliminates some of those fats based on the type (very few vegetable oils, and no seed or grain oils, for example, are preferred as they are inflammatory in the human body). 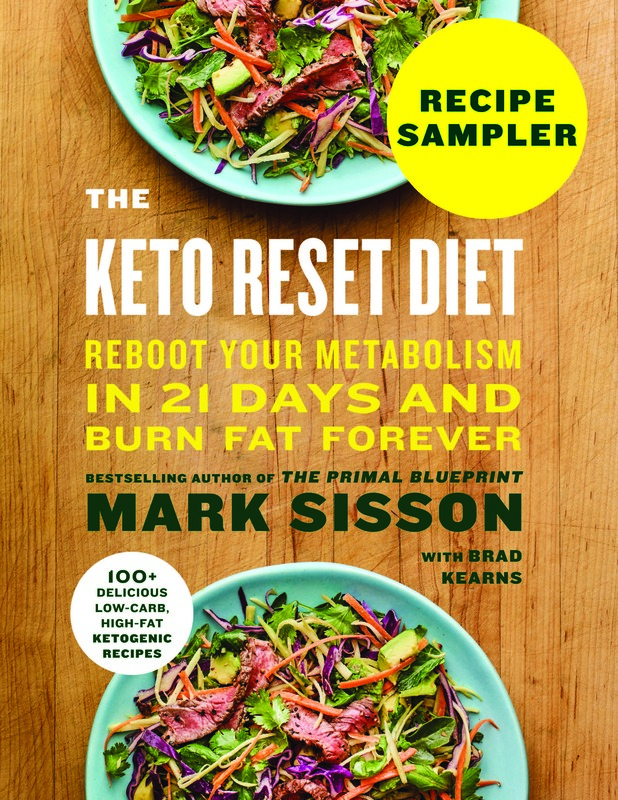 So really, I see the Adkins diet as carbohydrate-averse, while I see the primal/paleo lifestyles as carb-friendly – depending on the source of the carb. Hope that helps. God stuff, thank you Hal! Been at it for a few weeks and alls well. Particularly love the workout philosophy. Have always been a bit of a gym-rat, but the total body, lift heavy things idea has freed me up! I am a 37 year old teacher, and I consider myself to be pretty normal not a health nut just looking for a better way for my body. I have been obese my whole life. 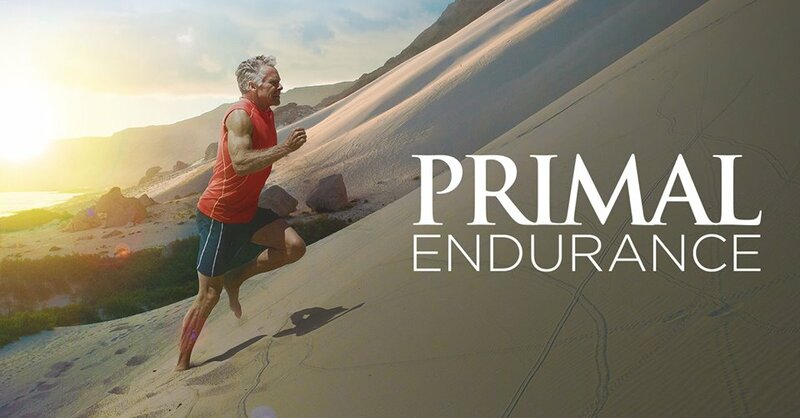 I have followed the Primal Blueprint version of Paleo for about 2 years and after failing at every other plan known to man including Gastric Bypass (at 535 pounds in 2001) it is the only thing that has ever made sense to my mind and body and is extremely easy to follow. I am under 300 pounds for the first time since the 4th grade and I have energy and strength I haven’t had since I was a young obese child. I have lost 84 pounds so far and gained a body that is inflammation and pain free even with daily activity and a pretty strenuous weight workout several days a week; at 297 pounds I am healthier than I have ever been as an adult. I finally have hope that I can be a healthy normal weight adult and live a long healthy life despite my family history (both of my parents are deceased due to obesity related illnesses). I would encourage more people to stop thinking of it as a fad diet and think more along the lines of it is a sensible lifestyle. The Primal 80/20 lifestyle allows for the little guilty pleasures without totally derailing your health. Unexpected success story! 😀 High-5! 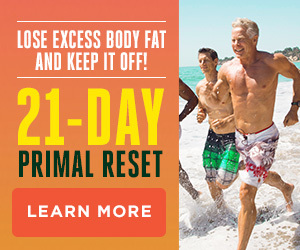 I’m starting the road toward the primal lifestyle as another bypass patient, how did/do you handle the fats? I lost 140lb via a registered dietitian and gastric bypass only put back 30lbs and am stuck I’m not at my ideal weight but am very excited about all the positive things I’ve been reading. Even the registered dietitian in the surgery practice is suggesting this life style for me since everything else isn’t working any more. I’ve had issues with hypoglycemia all my life and now it is harder to control it. I dump on fats and sugars but it is unpredictable when I’ll dump and on what cause it happens even with food I’ve eaten regularly. Nice to see Paleo eating getting some respectable press, but that was a fluff piece. Most of it was just recycled from other sources–the only novel bit was the author’s personal experience, and that got very little page space. I was especially surprised by the comment about hunter-gatherer diets being lacking in variety. It’s fairly well established that people’s diets were more varied BEFORE the agricultural revolution. It’s not a paleo thing: archeologists and paleoanthropologists repeat it so often it’s practically an academic cliche. The point about scarcity is valid as far as it goes, but that’s what intermittent fasting and seasonal eating are trying to address! Anyway, I don’t think the Atlantic did its homework. I’m curious, though, about what people think of the author’s suggestion that the Paleo crowd is drawn specifically by the diet’s difficulty. I have been following the low carb lifestyle and dabbled in Paleo for the last 6 months and have really been adhering (to Paleo) as of lately. Over a year ago I lost 25 pounds and learning to maintain that took a bit of practice. Once I read “Why we get fat and what to do about it” by Gary Taubes, I knew I could never go back to eating what the mainstream considers healthy. I honestly believe in this lifestyle, yesterday I went and did the monkey bars and cartwheels after a nice long walk. Conventional exercise? no, but it makes me feel great and really happy. I tell everyone I know about it, and literally every single one of my friends has actually tried to adhere to it, and my boyfriend has completely bought it, telling me he feels healthier than ever before. How can this be impractical? 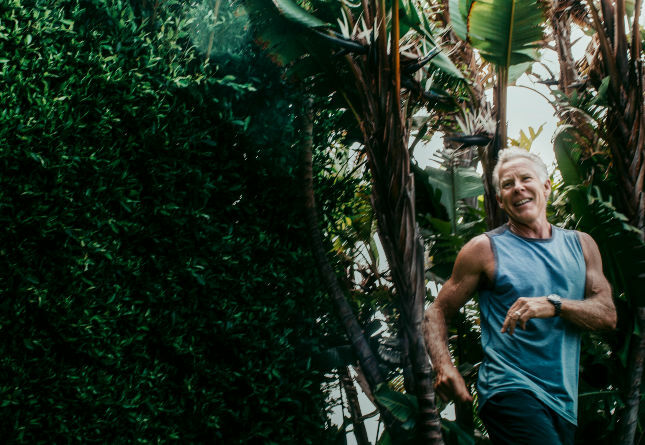 At the end of the article when he mentions that this lifestyle probably works for those people who have high willpower and would be successful at any diet I at first wanted to disagree, but maybe he is right? It is hard in the beginning to learn how to avoid bread, pasta, cereal etc. but it so quickly becomes easy, and just takes a bit of thinking outside the box. I think if more people gave it a real chance the nation would quickly see the nutritionally sound light of the Paleo Lifestyle. I will never go back to eating carbs or processed foods again. I wish there was a way to spread the word more quickly about this extremely healthy lifestyle. Reading the Atlantic article on the Paleo Diet (and subsequently the US News Diet Rank article) is raising my blood pressure to unhealthly levels. That is, until I got to the “How well does it conform to accepted dietary guidelines?” Section of their writeup on the paleo diet. That’s when I was able to stop taking it seriously. “Carbohydrates. At 23 percent of daily calories from carbs, it’s far below the government’s 45 to 65 percent recommendation.” <- After reading that, all I can really do is chuckle.